The funny thing about baseball is that what we expect to happen doesn’t always happen. As I posted in my last article the Mets were the only team with a positive run differential (+11) and a losing record (79-83). 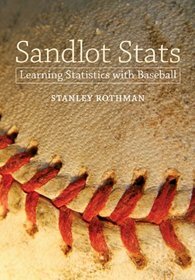 Using Dr. Stan’s formula to predict winning percentage (Winning Percentage = .000683*(runs scored – runs allowed) +.50), the expected record for the 2014 Mets would have been 82-80. Using this same formula, it can be calculated that the Yankees 2014 run differential of -31 would have given them an expected record of 79-83. This would have been their first losing season in 22 years. Since the Yankees were the only 2014 team with an actual winning record (84-78) and a negative run differential, this raises a red flag about the 2015 Yankees. The Yankees biggest issues in 2014 were under-production and injuries. The Yankees expected aging veteran stars Carlos Beltran, Mark Teixiera, Brian McCann, and C.C. Sabathia to perform like the stars they were in the past. Unfortunately, aged veterans tend to break down in the long baseball season and they all did. At the beginning of the 2014 season, the average age of the Yankees was projected to be 33.5. How can the Yankees expect to get better in 2015 when their aging veterans are a year older? In order for the Yankees to get to that magical 90-win playoff season next year they would need a run differential of around +80, or 111 more than they had last season. Before making any off-season moves, the Yankees have many question marks for the 2015 season. How well will Tanaka’s elbow be without surgery? What about Teixiera’s wrist and Sabathia’s knees? Will Nova be ready to go after TJ surgery? After two hip surgeries and missing the entire 2014 season due to suspension, the Yankees do not know what the 39 year-old Alex Rodriguez can give them. Will he have to be a full-time DH? It would be difficult to increase a run differential by 111 with just off-season moves. Even if the Yankees signed both Hanley Ramirez and Jon Lester, there is little chance they can be in the post-season next year with their projected roster for 2015. As of right now, the Yankees already have a payroll of $169 million for 2015, which leaves them $20 million to spend and stay within their announced budget. The most plausible way to run the Yankees right now would be to not sign more aging veterans, but instead wait for existing contracts to expire and then accumulate young free agents and draft choices. The reason the Yankees haven’t had a losing season for 22 years is because the “Core Four” came up through their system carrying them to World Championships. Re-creating another group of young players is the correct direction for the Yankees. The problem is Yankee fans are not willing to accept losing seasons and they must be appeased. The late George Steinbrener would never accept losing seasons. Unfortunately for Yankee fans, George’s sons did not inherit their father’s philosophy of spending whatever it takes to have a winning season. With so many teams like the Red Sox, Dodgers, and Angels having the money to bid for talented young free agents, the acquisition of young talent will be very difficult. This will lead the Yankees to stock pile more aging over-the-hill veterans who will break down as the season progresses. The Mets and Yankees are on opposite paths going forward to 2015 and beyond. Although the Yankees have young talent such as power hitting Aaron Judge in the minor leagues, they have no one remotely close to the MLB like the Mets do. Whereas, the Mets have an abundance of young major league pitching talent; the Yankees have the same old group that broke down in 2014. With their young power pitchers, Mets fans can be optimistic for 2015 with a real chance of making the playoffs, while Yankee fans will again miss the playoffs.